The vision came from the tribal healers themselves, as RUNA CEO Tyler Gage explained, "They came to us and said 'We're disappearing, and our knowledge is disappearing with us.'" The project, to build two medical clinics in the Amazon, one in Ecuador and another in Peru. 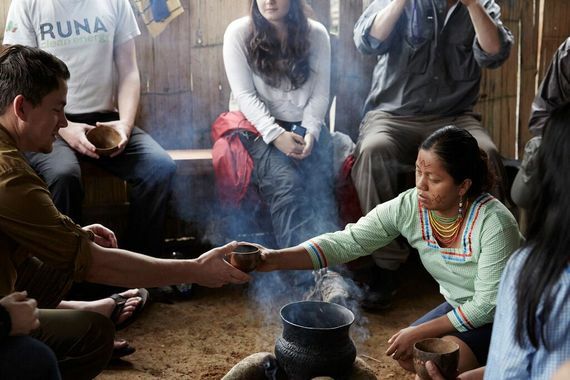 As Gage put it, they'll be "the world's first medical clinics to research Amazonian medicine as a medical system, so the communities can document and clinically test these plant medicines." 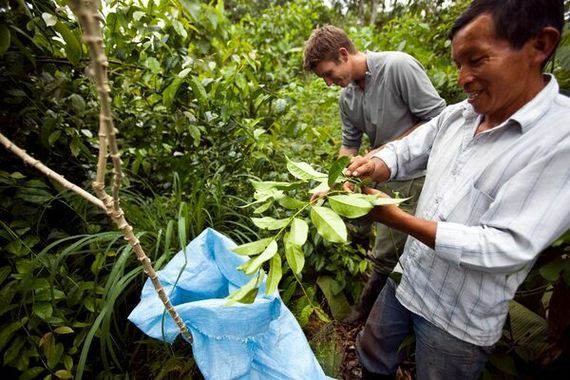 To accomplish this, the project will enlist top medical researchers from Stanford and Yale to work with the indigenous communities to discover--and to prove--the legitimate healing power of thousands of plants. How could this help to save the Amazon, which Gage called "the biggest botanical pharmacy on Earth," from deforestation? Economic incentive. Gage said, "There's obviously a huge demand for treatments to fill the holes in Western medicine." Basically, if the scientists working in these clinics can prove, by Western standards of proof, that these plants have documented healing capabilities, the cause of protecting the Amazon Rainforest will have a powerful new argument. Tyler Gage, a young entrepreneur who co-founded RUNA tea and energy drinks company with then class-mate Dan MacCombie, articulated the vision for the project, "The goal is to really understand indigenous Amazonian medicine as a whole system, the same way that Chinese medicine or Ayurvedic medicine in India are whole systems of knowledge that have been thoroughly researched." The RUNA Foundation, which already works with indigenous Ecuadoran communities, has well-established ties and trust, and a track record for results. The foundation is collaborating with local non-profits Rios Nete in Peru and Naku in Ecuador, and raising funds here in US through PlantMed.org. The plans for these clinics are state-of-the-art, a cross between a lab, a think tank, and a medical care facility, all with the look and feel of a peaceful tropical retreat. At both clinics Western doctors will work with tribal healers to treat patients with modern illnesses and document the results. "There's huge potential in the Amazon," said Gage. "We saw a critical need because many of the traditional healers who hold all the knowledge are passing away, so it's pretty urgent work." The project has already raised hundreds of thousands of dollars, but to turn such a lofty vision into two functioning, cutting-edge clinics in the Amazon will take a lot more support, and that support is coming in from some pretty big names. 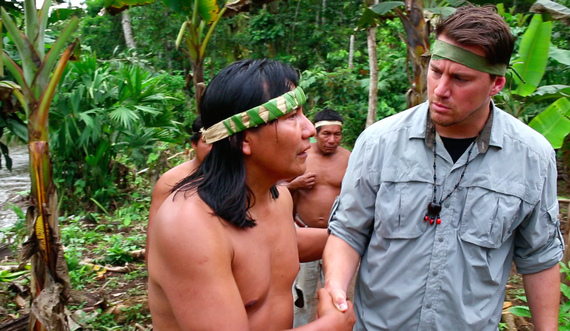 Actor Channing Tatum, also an investor in RUNA, has used his name and influence to raise some serious cash for PlantMed.org. Launching a campaign on his own website, Tatum raised not only funding, but awareness. Tatum has traveled to Ecuador and Peru with RUNA, to visit the communities and see not only what the company is doing, but the foundation as well. When I inquired why "The Hateful Eight" star has come out big in support of the project, Channing recollected his time in Ecuador. "Experiencing how refined and expansive their knowledge of indigenous plants is was mind-blowing. They use the Amazon as their pharmacy and their supermarket with amazing skill. The communities were so generous and welcoming that I felt called to support their vision." Channing expanded on his motivation, mirroring the sentiments of Gage. "The potential is endless. There are so many plants that the indigenous people use for medicine, but very very few have been researched. These communities are quickly disappearing and their knowledge could hold cures to modern diseases that cause a lot of pain and suffering around the world." So the project has a wide scope of impact, proving the healing powers of these traditional medicines can lead to more aggressive conservation of the Amazon, which in turn can save many of these endangered tribal communities that are disappearing simply because their lands are constantly under the chain-saw. Additionally, the scope is also to unlock the secrets of a virtually untapped system of medicine that could help those with illnesses the world over. When you consider the fact the more and more people in the West are seeking alternatives to Western Medicine, as Gage said, "It's kind of crazy that nobody has ever built a clinical research facility to better understand and practice the system of medicine around these Amazonian plants." Having already broken ground at the site in Peru, and looking to complete construction in 2016, funding provided, that is all about to change. Wrapping up our interview, Gage's excitement for the project was palpable, "It's an uber ambitious vision, and who knows what will come of it, but the vision is very much of these tribes, and we're helping by raising funds and providing operational support, so we can all make this vision a reality!"